New ORI Tag website is active! The new, more user friendly, interactive and informative version of the tagging website is finally available. There are still a few minor changes that need to be made, but as for now it is live and ready to be explored. 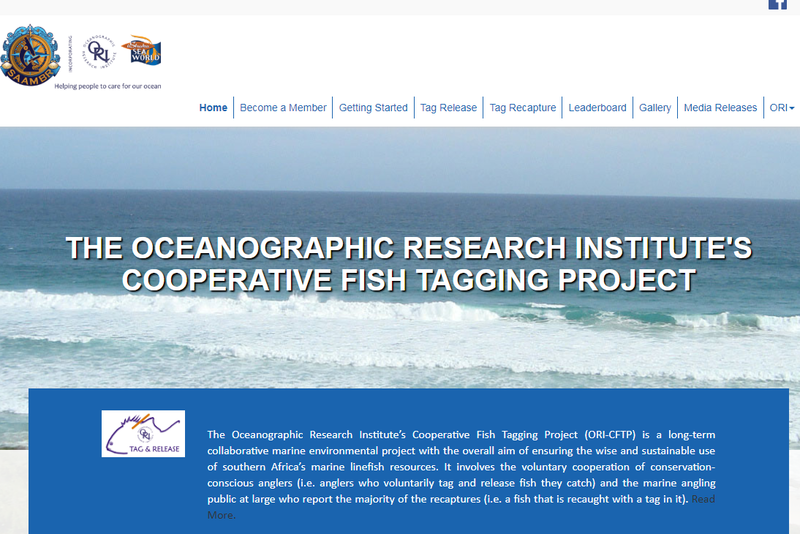 Media releases of any news/documents related to the tagging project. If you are a tagging member PLEASE DO NOT REGISTER AGAIN on the website as you already have a profile. In order to log into the website you will need to use your existing membership code as a user name; with your password being the same as that used in the previous website. If you cannot remember your password you can reset it where a new password will be forwarded to you, otherwise please contact me on 079 529 0711/031 328 8159 or on oritag@ori.org.za and I will gladly help you to log on. Happy tagging and tight lines!